Budapest is one of Europe’s most beautiful cities, thanks to its thousand-year-old history, culture and architecture, which has survived both world wars. 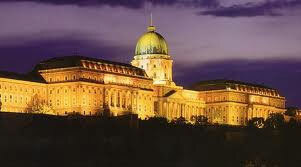 Budapest was originally a Celtic town called Aquincum and later became the Roman capital of Pannonia province. The Hungarians arrived in the late 8th century. Then in 1241-42, a Mongol invasion ravaged the existing town. In the 15th century, the city was restored and became the cultural centre of the Humanist Renaissance. The Ottomans governed the city for nearly 150 years, after which in the 18th and 19th centuries a prosperous new era began. 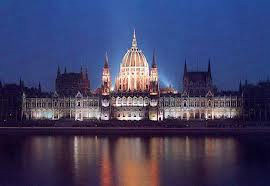 The two cities, Buda and Pest, which developed independently on both sides of the river, were united in 1873. The city you see today resembles one of that period. The famous crown jewels are exhibited in the neo-gothic style parliament building. Moving on, there are 223 museums to choose from. If you are interested in art, The Museum of Fine Arts is highly recommended. If you prefer history, then visit the Aquincum Museum or Nagyteteny Castle. Castle Hill on the River Danube is an architectural attraction, whose exceptional view has inspired many singers. Surrounding the castle are three churches, six museums and many other buildings, passages and places worth visiting. 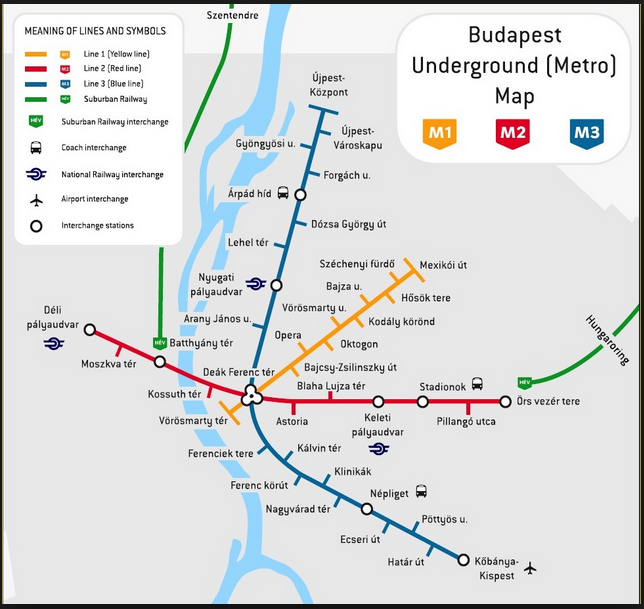 There are seven islands between Buda and Pest; the largest is Csepel Island which is nearly 50 kilometres long and six to eight kilometres wide and its northern point is part of the city. Margaret Island is 2.5 kilometres long and less than 400 meters wide. Tourists and citizens use it as a rest and recreational area. The island with the unpronounceable name of Hajogyari-Sziget is an artificial island which provides water sport opportunities during the day. The popular festival island called ‘Sziget’ welcomes hundreds of artists and more than 400,000 annual visitors. The island is still expanding, thanks to initiatives such as residential real estate and recreational centres. There are plans for casinos, hotels and a marina as well. 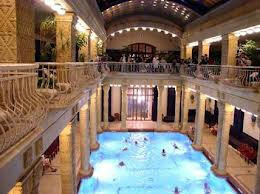 A visit to Budapest would not be complete without visiting some of the Hungarian baths. The famous Rudas Bath dates back to 1550, the beginning of the Turkish period after the Roman period. The Turkish architecture is remarkable and the impressive swimming pool is built beneath a cupola ten meters wide. If your budget permits, it is the ideal place to spend several hours relaxing at the end of the day. They have recently been completely modernised. Modern bathhouses dating back to the beginning of the 20th century include the Gellért complex, which is a bath as well as a hotel. 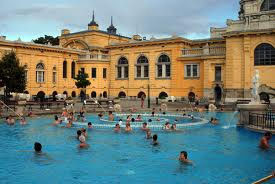 The Szechenyi baths have covered swimming pools and outdoor pools as well. There are more than ten indoor swimming pools, as well as a large number of spa facilities.